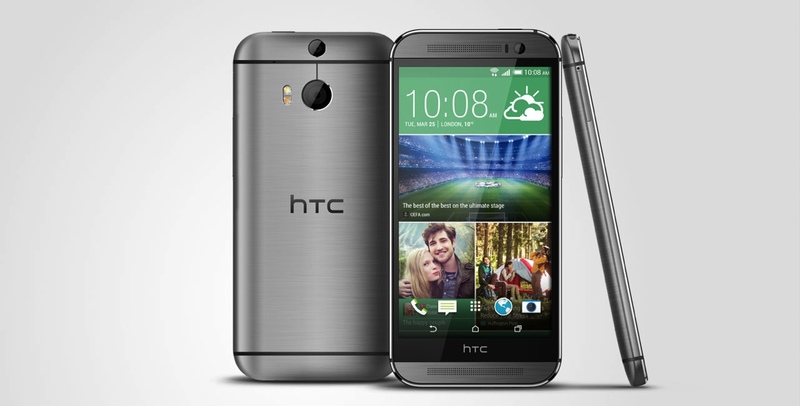 The successor to the HTC One (M7), the most beautiful Android smartphone is here at last. 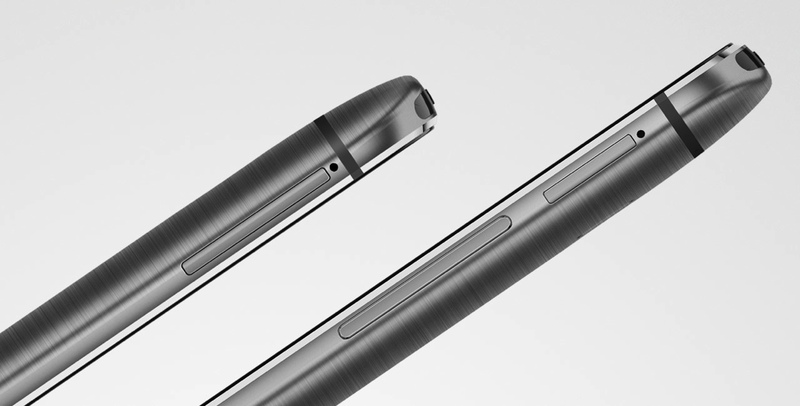 Pushing premium to its limits, the HTC One (M8) features a new all aluminum design with a brushed metal look and rounder corners for a more solid feel. Plastic, this phone is not. 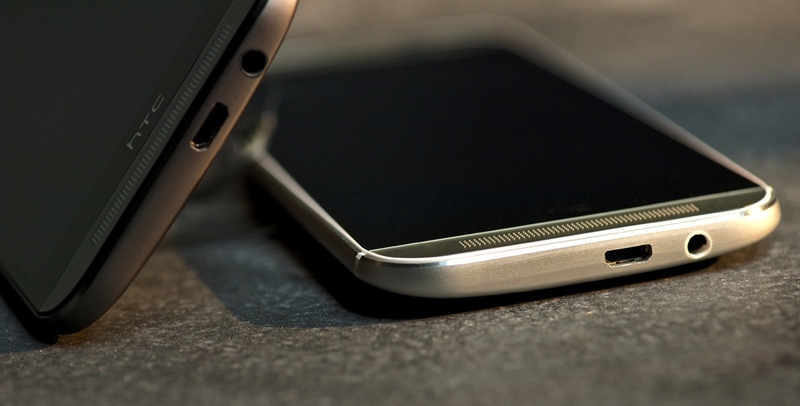 Looks aside, the HTC One (M8) is a huge upgrade over its predecessor. Key features include a larger 5-inch 1080p resolution display, louder “BoomSound stereo speakers, three cameras (a 5-megapixel front camera for great selfies, and a pair of cameras on the back called “Duo Camera”), improved BlinkFeed with tons more content, tighter SenseTV support and overall speed improvements thanks to Android 4.4 KitKat and HTC Sense 6. Underneath it all is a 2.3GHz quad-core Snapdragon 801 processor, 2GB of RAM and your choice of 16GB or 32GB of internal storage. This time around, there’s even a microSD card for storage expansion. Additionally, all of the wireless bells and whistles including Wi-Fi, NFC, Bluetooth and LTE are present. Battery’s also improved by 40 percent due and with an Extra Power Savings Mode, you’ll get even more juice when it’s running low. But, back to the Duo Camera for second. 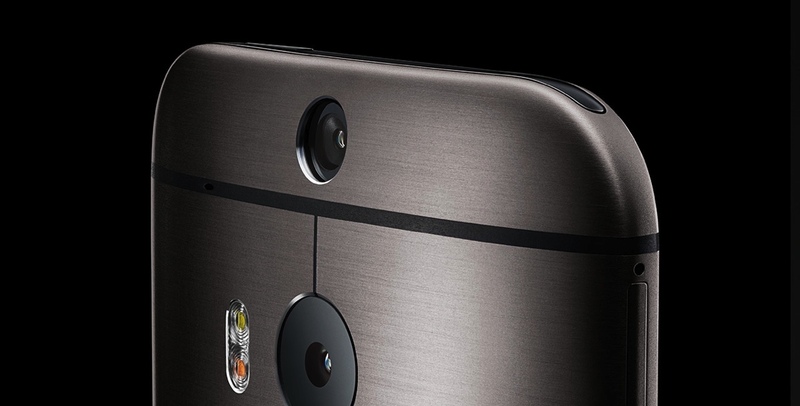 The main rear camera is the same 4-megapixel UltraPixel camera found on the HTC One (M7), but it’s now paired with a 2-megapixel “depth camera”. What this secondary camera does is collect 3D spacial information. For what? By collecting depth data, you can change the focus of a picture after you take the photo, which is pretty neat for salvaging or creating bokeh-styled photos. 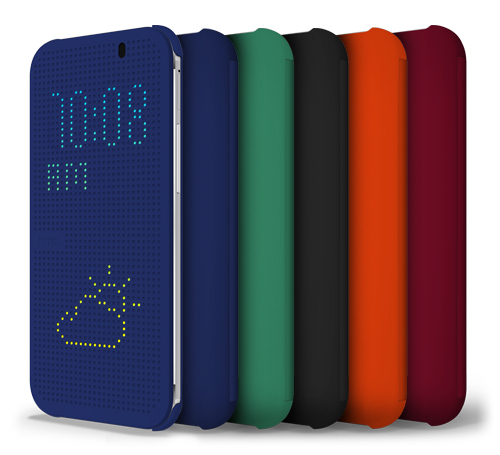 Lastly, there’s a cool case that HTC is selling for $50 called the Dot View Case. The case displays dot-matrix-style alerts on its cover such as calls, messages, and the weather. Swiping on it activates the features. For instance, if you swipe on a call alert, you can answer it without opening the case. 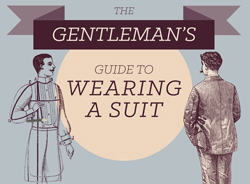 The cases are quite handsome, if you ask us, and they come in a variety of colors. 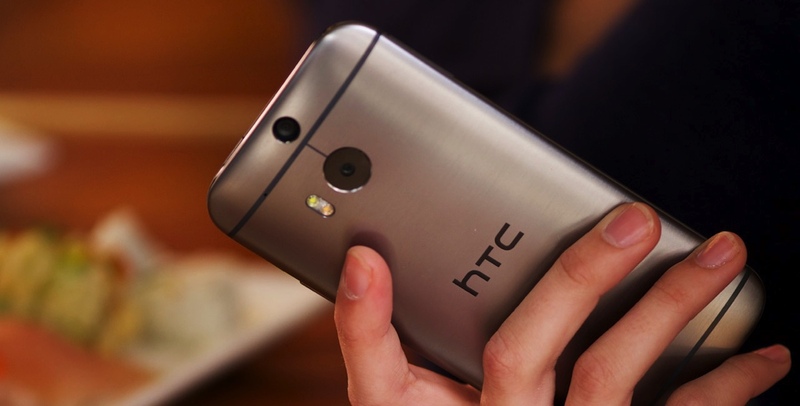 The HTC One (M8) will be available in Glacial Silver, Amber Gold and Gunmetal Gray worldwide by the end of April. 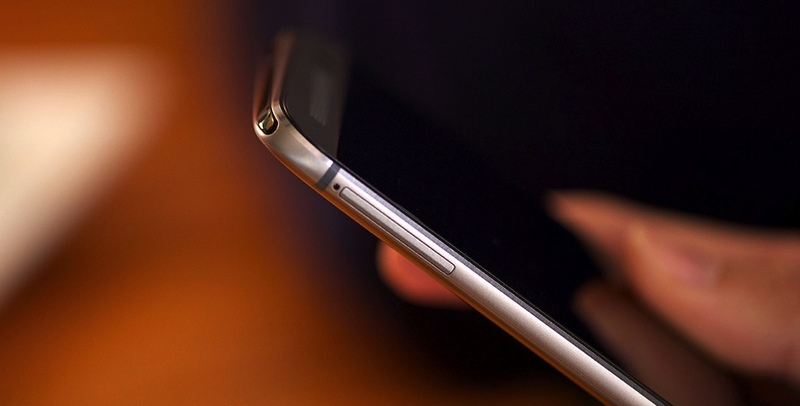 Here in the U.S., you’ll be able to pick one up from Verizon immediately. 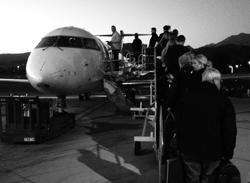 AT&T, T-Mobile, Sprint and other regional carriers should have it available by April 10. Prices start at $199 for a 16GB HTC One (M8) with a two-year contract, $249 for the 32GB model, and $649 for the unlocked model. A Google Play Edition with stock Android 4.4 KitKat is also available for $699.